Happy Monday dolls! We had extremely warm temperatures here in Florida this weekend so I thought the palm tree pic was appropriate. It looks like our cooler fall temps are on hold for awhile longer. I'm just hoping it cools off again before my next Disney trip! I didn't get any pool time in like I had originally wanted to but I did get some sun in so I can't complain! Linking up with the lovely Biana for our weekend recap! On Friday I checked out a place called Noodles & Co. If you live up north you've probably heard of this place but there are only three in Orlando so I was pretty psyched to check it out. I got the Wisconsin Mac & Cheese with pulled pork and it was pretty yummy but definitely could have used more sauce. I'll probably give it another shot, I'll just try something else next time! 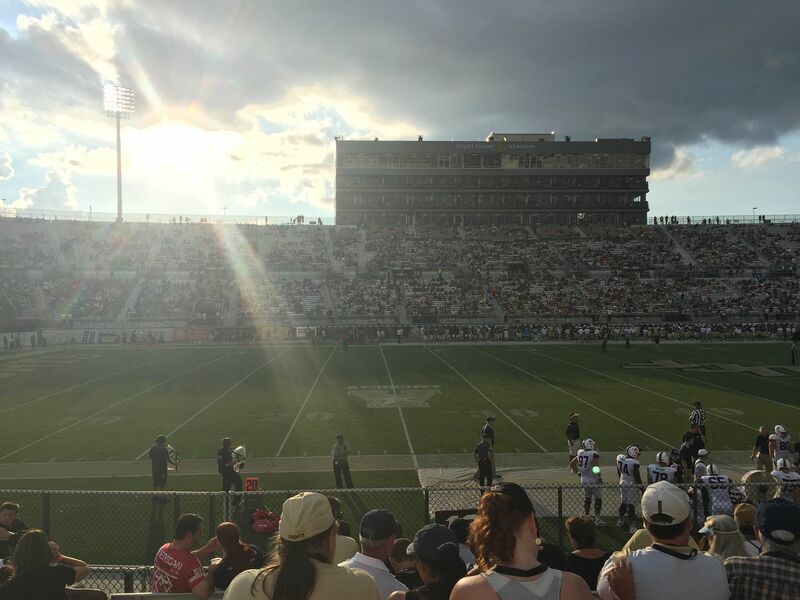 Saturday was the UCF vs UConn game. Man, was it such a disappointment. It's official, we are the worst team in the nation right now. It's hard to watch. And for some reason last year UConn decided to declare a rivalry against us. Even going as far as to great a trophy for the game (UCF had no prior acknowledgement of this "rivalry" and we all kinda think it's hilarious since we already have a rivalry against USF but hey, if it makes them happy I guess) and they have a clock in their locker room counting down until the next game. So weird. We ended up getting smashed by them and let's just say, I'm extremely ready for the season to be over. 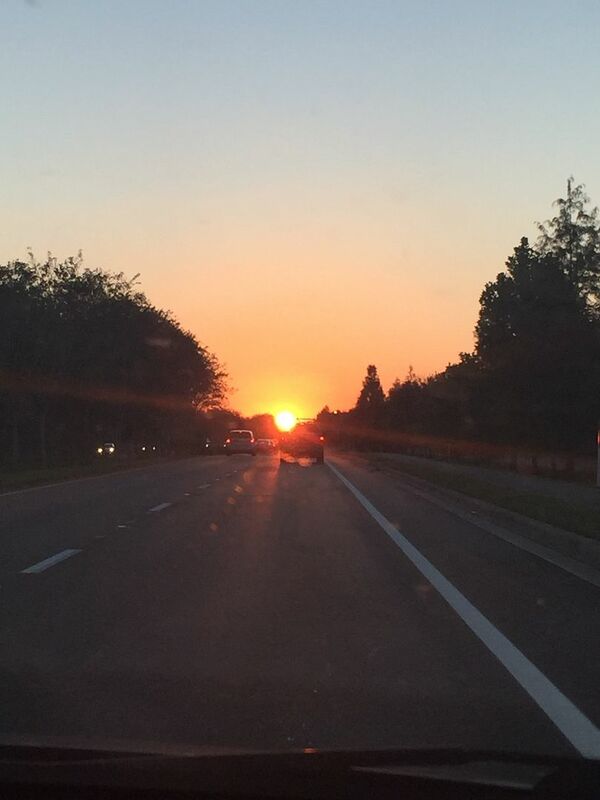 At least the sunset on the drive home was pretty! Sunday I met up with my bestie, Kerri, for some drinks and football. Yay for the Bengals being 5-0!! It was a tough game that went into overtime but I'll take the win! The weather was gorgeous out too so it was really nice to just sit outside and relax an enjoy the day! Hope everyone has an amazing week!!! At least one of your teams won ;) Looks like you made the best out of it!! So fun you and Kerri get together so often!! loved seeing your weekend and hoping the temps cool down for you soon. omg i can't even talk about college football. so bummed about UGA losing. it was ridiculous. they better pull it together. At least you got one win! I love your nails in the last photo so perfect for fall! On game day they talked about the "rivalry"- it was fun to watch that segment! Can't believe the Bengals are 5-0! So awesome! At least one of your teams won, right? ;) Hope you have a great Monday! I think good drinks and hanging with friends can help cure any bad football game? This weather was so stunning this weekend! I was just outside the whole time. I'm glad you're Bengals are starting off so strong! I feel awful that UCF is doing so bad this year, but hopefully that means you guys will come back that much stronger next year! UConn is the only team I'll root for against UCF as that's my original home team and I'll always say Go Huskies! But they're more of a basketball dynasty than football lol. We have a few Noodles around here! It's pretty good! Looks like you had a wonderful weekend! Happy Monday girlfriend! We have Noodles & Co. on practically every corner here and it's pretty yummy! 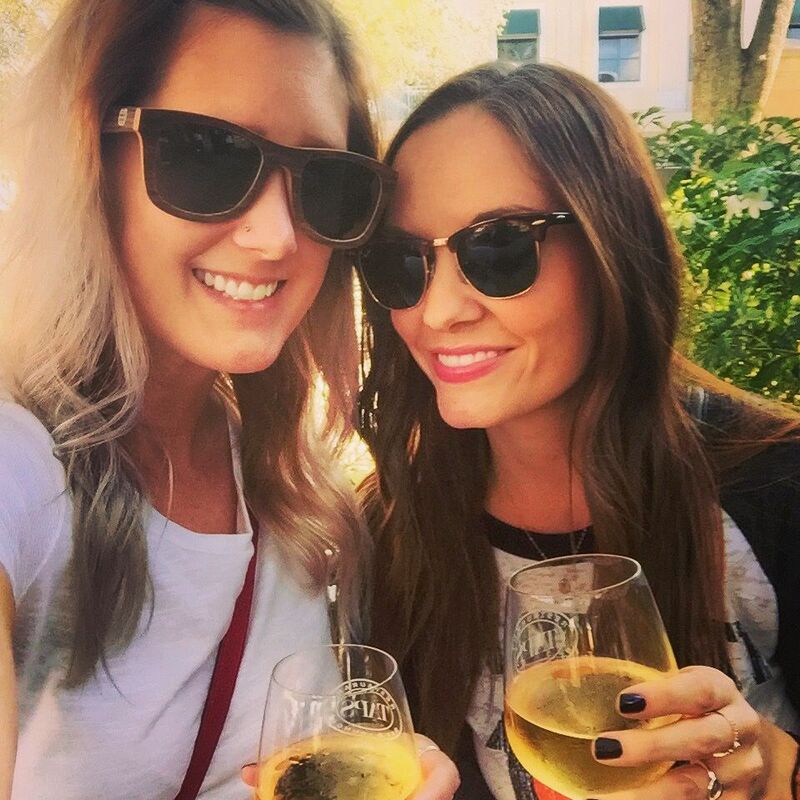 Your weekend looks so fun--love your sunnies! Sounds like you had such a fun weekend! I love the look of those noodles, they look delicious! Great post! I wouldn't mind some of those warm temperatures (I currently have our fireplace on because it is SO cold!) I was so jeals of your tanning pic! Let's trade, k? I grew up in MN so I love Noodles! Now the closest one to me is like an hour away so I never go. I would always get the pesto cavatapi with chicken. Looks like a great weekend!! And UGHHH as a Seahawk fan that game was BRUTAAALLLLLL!!! Good job to the Bengals though but ... ugh. Can you tell I'm still upset?! LOL! 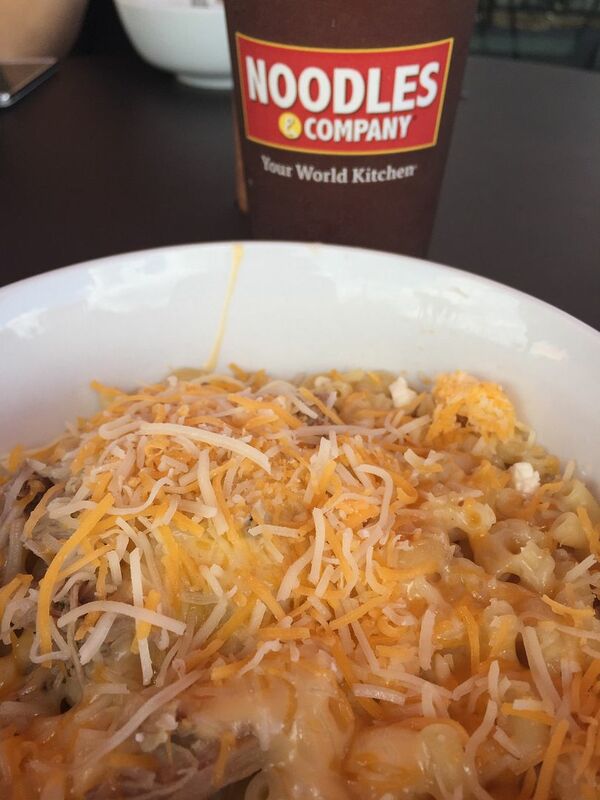 Oh goodness, your mac and cheese looks ah-mazing! Too bad about the loss but at least the weather was nice! It's the worst feeling when your team can't seem to get it together!! But aside from that, it sounds like a great weekend!! Why do they always have to fly by so quickly?! I use to go to Taps in Tampa all the time. Love it. At least the Bengals are playing great! Oh man, football seasons with teams that aren't playing very well are the worst! I've had a few like that with the Aggies, and the only thing I can tell you is that it gets better! 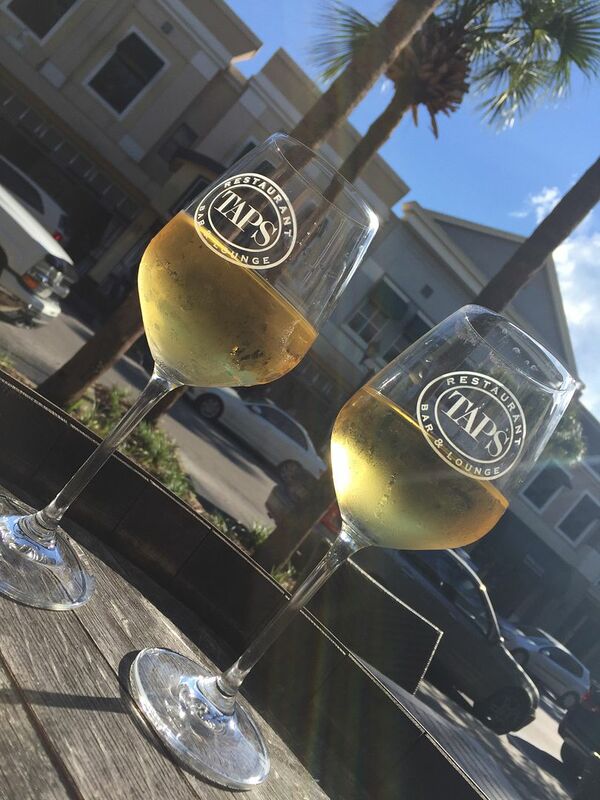 The wine looks like the perfect way to watch a football game though! i LOVE Noodles! So yummy!! Love their mac and cheese! I know what it's like to have rough football seasons, and it's so hard! The good thing is they usually turn things around! We used to be at the bottom of our league for decades, and now we're doing well! :) Honestly, I'm not the biggest fan of Noodles & Co either for the same reason-it just tastes bland to me. My friends and I used to get Noodle & Co. all the time in high school...after years of not going there I had lunch at one while visiting family this summer, and it was blander than I remembered. Maybe you just need to get the right thing, or have the right person making it! The Bengals are doing amazing this year! The Lions, not so much lol! Not that it's a surprise to us anymore! Next time you're at Noodles, try their paid thai... soooo good! That mac n cheese, yummmm! We have Noodles & Co here, but I've yet to give it a try. I'm obviously missing out! Yum! The mac n cheese looks so darn good! Noodles & Co is so yummy, their pad Thai is amazing! Boo for UCF doing so poorly, but yay for your bengals doing better...much better than the Bears that's for sure! Have a great week girly!! Oh man, it is hard when you have a rough season. At least your NFL teamed pulled out a W! I don't think we have Noodles & Co here but we have Nothing but Noodles. Anywhere that has noodles as their main food is ok with me! Did you got to UCF? A ton of my friends went there, I am from Pensacola. Anyways looked like a fun weekend. Noodles is such a delicious restaurant, glad you enjoyed it! I am sorry your team isn't playing well, but GO BENGALS!!! !